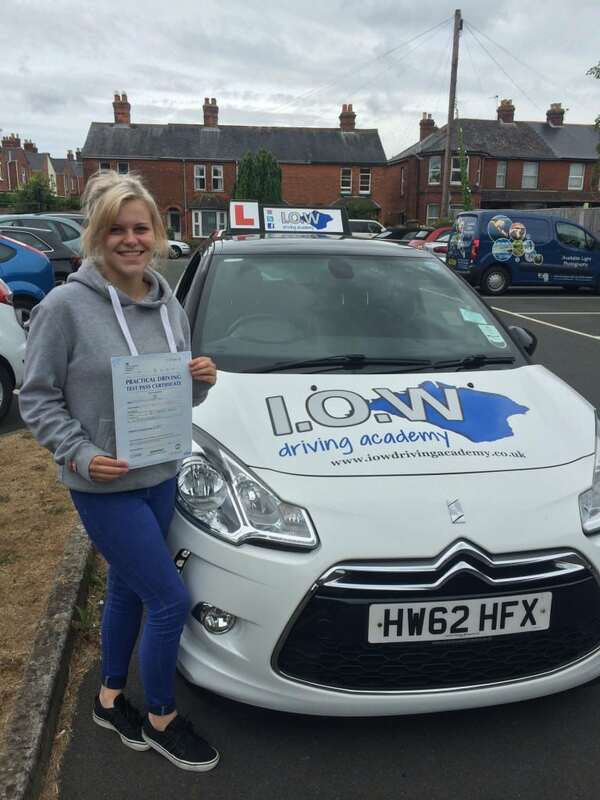 1st Time Driving Test Pass with Emily Cant at IOWDA. CONGRATULATIONS to Emily Cant for passing her driving test today, Monday 1st August 2016 at her 1st attempt with only 5 minor driving faults. Well Done Emily this was a great drive. You showed confidence with good anticipation and planning skills. You really deserved this pass. This was another great first time test pass with the Isle of Wight Driving Academy. Our Instructors pride themselves on the fact that they provide the highest quality of tuition to their students. That’s why we are proud to boast a very high first time pass rate. We are also extremely proud of our students who put a lot of work in to their own training. We encourage our students to reach their potential and go above and beyond. We also support Continued Professional Development (CPD) for our Instructors so that they can achieve their potentials. If you want to become a safe, confident driver then call us on 0800 193 76 77 and let us get you started.